CANON imageRUNNER Pro 7150VP | Welcome to JJ Bender! The Canon imageRUNNER Pro 7150VP, a highly versatile and flexible printing device, is ideal if you want to produce a broad range of high-value, high-volume applications. With the ability to print pages at up to 150 per minute in black and white, the Canon imageRUNNER Pro 7150VP digital press offers you valuable time saving opportunities and the best choice for meeting your book publishing needs as well. The Canon 7150 has outstanding productivity, versatility, great image quality, and professional finishing options. Robust paper handling features, a wide range of paper substrates, flexible hardware and software configurations make it a preferred choice among central reproduction departments and data centers. The IR 7150 has three paper supply drawers which have a total holding capacity of 4,000 sheets. The Standard finisher has a 3,000-sheet capacity and a 100 page-per-set stitch capacity. Finishing configurations can be adjusted as required based on volume and application requirements. The machine also comes equipped with a short-straight paper path, race-track design, and vacuum-corrugated feeding. If you are in need of a Canon imageRUNNER Pro 7150 VP lease, contact JJ Bender today and say goodbye to technological obsolescence. 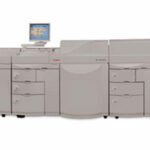 With numerous years of experience in the leasing industry, we can meet all your Canon 7150 lease requirements. 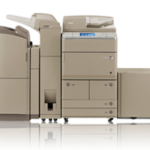 If a Canon imageRUNNER Pro 7150 VP lease fits your business, it is important to examine all your options as you need to commit a vast amount of resources to the copier. JJ Bender will guide you step by step through the complete lease procedure and will also provide you with expectations of the machines installation.